This recipe is a brain booster because of the Omega-3 in walnuts. If your diet needs more Omega-3, try our RESTORE™ Chia which contains TWICE the amount of Omega-3 found in walnuts, and 8X the omega 3 in salmon! We hope you enjoyed this SUPER nutritious, SUPER delicious salad. 1) Pour the chilled quinoa into a large bowl. 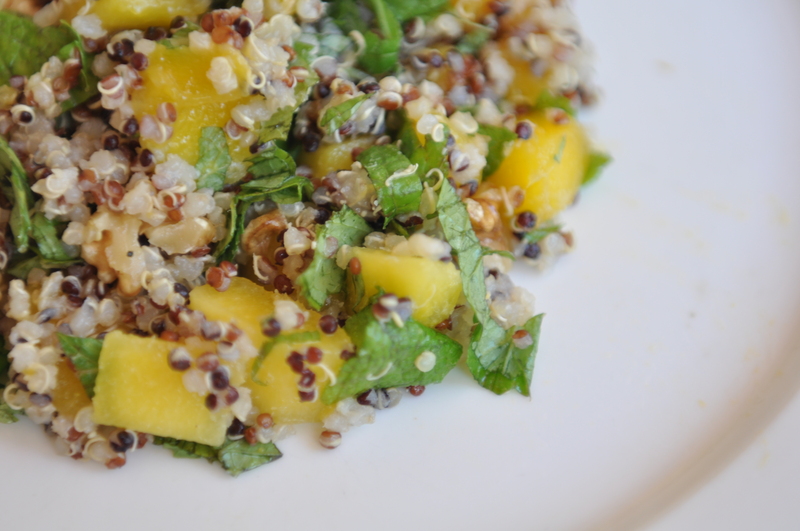 2) Add the mango, chopped walnuts and mint leaves. 3) Next, add in the coconut oil. 4) Stir all the ingredients together and mix well. 5) Grab a spoon. Serve and enjoy!